1Open the workbook with the worksheet(s) that you want to move or copy and the workbook that is to contain the moved or copied worksheet(s). Both the source and destination workbooks ned to be open, though you don’t need to see both of them. 2Display the workbook that contains the worksheet(s) that you want to move or copy. This is your source workbook. 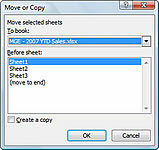 3Select the worksheet(s) that you want to move or copy. If you want to select a group of neighboring sheets, click the first tab and then hold down Shift while you click the last tab. 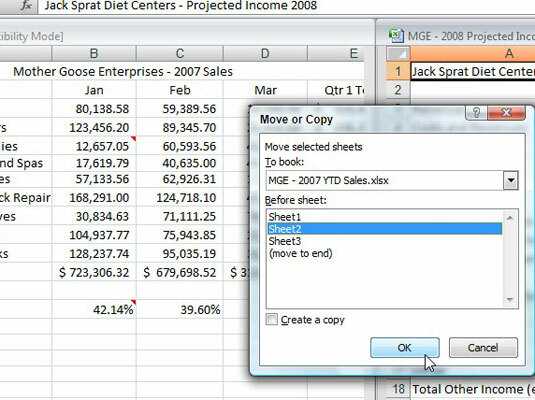 To select nonadjacent sheets, click the first tab and then hold down Ctrl while you click each of the other sheet tabs. 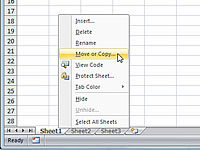 4Right-click one of the selected sheet tabs and then click Move or Copy on the shortcut menu. 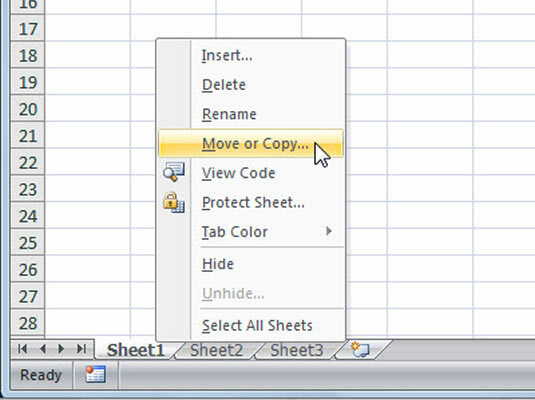 Excel opens the Move or Copy dialog box, where you indicate whether you want to move or copy the selected sheet(s) and where to move or copy them. 5In the To Book drop-down list, select the workbook to which you want to copy or move the worksheets. If you want to move or copy the selected worksheet(s) to a new workbook rather than to an existing one that you have open, select the (New Book) option at the top of the To Book drop-down list. 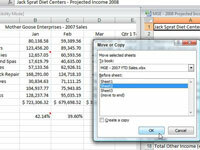 6Select where in the new workbook you want to drop the worksheets. 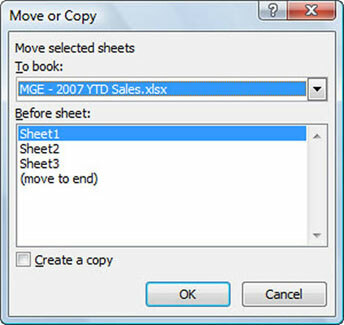 7If you want to copy the sheets rather than move them, select the Create a Copy check box. By default, this option is deselected. 8Click OK to complete the move or copy operation. A worksheet has found a new home!